This week photographer Tim Wallace brought the second phase of the Aston upgrade project to completion with the Aston Workshop who are the official division of Aston Martin for the restoration of Classic Aston Martin models. The project was to create a large volume of high end quality work for use in the new 2009 Aston Martin upgrades brochure. This week photographer Tim Wallace brought the second phase of the Aston upgrade project to completion with the Aston Workshop who are the official division of Aston Martin for the restoration of Classic Aston Martin models. The project was to create a large volume of high end quality work for use in the new 2009 Aston Martin upgrades brochure. 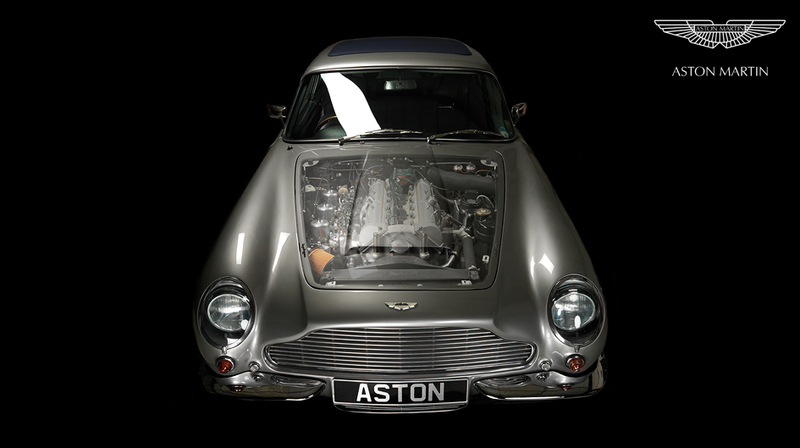 Initially the biggest challenge was the sheer amount of planning for all the differing aspects of upgrade work and modifications that were required, with some Aston models needing to be carefully arranged such as the DB5 as there are quite literally only a few high quality examples remaining in the World today that we could use for the shoot. With phase one of the project being completed a few weeks ago we had some real work ahead of us to get the required photography to allow the project to complete. One of the most difficult images to shoot was to show the engine of a classic Aston and indeed the whole body at the same time, a sort of 'transparency' effect. Photographer Tim Wallace completed this and with use of the Hasselbald H3 DII that Tim shoots a lot of commercial on it was a simple process of planning and a little creativity. Tim - "This is a great project to be involved in and it's always great to look at new challenges, after all that's how I believe you progress and grow in your abilities as a photographer. Aston has been a client of mine for some time now and over the years we have worked on some very interesting elements to the business. Possibly my favorite photograph from the series is the one at the top of this page showing the DB5 in full flight around a grass lined bend in the road. This was shot to go with the brochure section on handling upgrades and was in itself a real challenge with the camera body being fixed on a professional rig that was perilously close to the ground as we drove the DB5 around the sweeping bend whilst shooting. A great shot however and very well worth the planning and effort to get the best results possible for the client."